Erik Lamela has received a fair bit of praise in recent times. Following a long term injury, which kept him sidelined for most of 2017, he has slowly made himself a more and more important figure in Mauricio Pochettino's Tottenham project. This was exemplified when he scored the only goal of the game against West Ham during Tottenham's last Premier League outing. 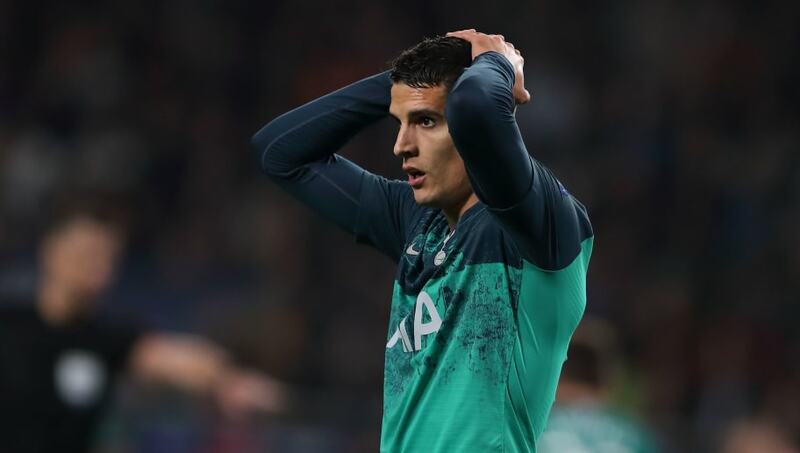 ​However, following Tottenham's disappointing 2-2 draw with PSV Eindhoven in the Champions League, Lamela has received criticism from former Tottenham Hotspur midfielder Jermaine Jenas. Speaking to BT Sport (via ​Football Transfer Tavern) after the game, former Lillywhite, Jermaine Jenas criticised the Argentinian international for his lack of defensive awareness. Jenas said, “I don’t know why Lamela’s not already on the edge of the 18-yard box, he kinda floated in no mans land, he wasn’t in the wall. Somebody needs to be there for the knock downs. With ​Christian Eriksen returning from injury, ​Lamela was left on the bench for ​Tottenham's most recent Champions League clash. And the Dane showed Spurs' fans just what they'd been missing in his absence. The 26-year-old ran things for most of the game all by himself. He even claimed an assist, laying on an unbelievably accurate cross for ​Harry Kane to nod home. With Eriksen controlling the game, and Spurs leading 2-1, the in form Lamela was brought on for Lucas Moura to help seal the win for Tottenham. And the Argentine almost made the perfect impact, striking the crossbar in the 73rd minute. Unfortunately, things only got worse from there, as captain Hugo Lloris was sent off just moments later. It then turned out Lamela’s most telling contribution would come at the other end of the field. The forward was caught napping on the edge of Tottenham’s box during the build up to Luuk de Jong’s dramatic late equaliser. With one point from their opening three Champions League fixtures, it now seems unlikely that Tottenham will be able to claw themselves into the knockout stages of the competition.